May 30, 2014 -- George Shatto was already a successful businessman in Michigan when he decided to move to Southern California in the early 1880s. Perhaps he saw a great opportunity for a man with knowledge of business and real estate during the building boom in Los Angeles. Or perhaps Shatto and his wife, Clara, just wanted to make a fresh start in a new location after the death of their only child at the age of 8 months. George Rufus Shatto was born on Aug. 15, 1850, in Chatham, Ohio, the seventh of eight children of John and Mary Magdalena Ohl Shatto. Shortly after Shatto’s birth, the family moved to Michigan, where John Shatto worked as a farmer. During the Civil War, John Shatto enlisted in the Union Army and, as a member of Company 1, 10th Michigan Infantry, he was wounded in battle near Farmington, Miss., and died on June 14, 1862, at the age of 50. 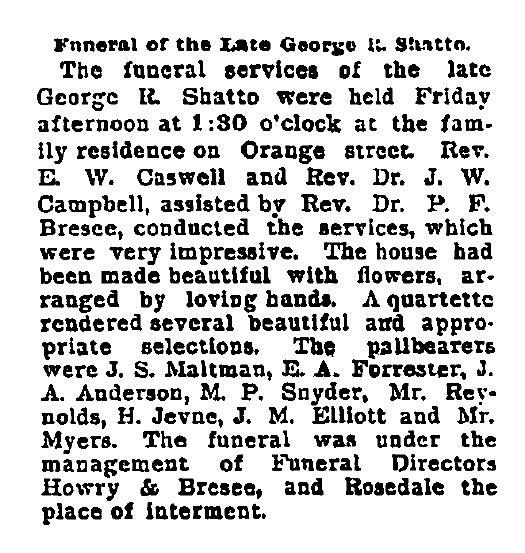 At the time of his father’s death, George Shatto was 11 years old. George Shatto was more interested in business than farming, and he eventually found work as a clerk in a dry goods store in Flushing, Mich. On Aug. 15, 1876 -– his 26th birthday -– he married Clara Ruth Alward "Clarissa" Whitney, 23, in Flint, Mich. Meanwhile, Shatto turned his interest from retail sales to real estate. After selling his store in Michigan and moving to Los Angeles, he was involved in the development of the Orange Heights subdivision along the current Wilshire Boulevard, among his other real estate ventures. In 1887, George Shatto embarked on his most ambitious project –- he bought an island. Shatto purchased undeveloped Santa Catalina Island from the estate of James Lick for a reported $200,000, with a mortgage of $1.3 million. The rocky island –- 22 miles long and from one-half to eight miles wide –- was located about 20 miles off the coast of Southern California, and was uninhabited except for a few sheep and cattle ranchers and the occasional fisherman. Shatto purchased the island sight unseen, but he was no stranger to large real estate transactions. Shortly after purchasing Catalina, he bought 72 acres at the corner of Main Street and Jefferson Boulevard –- just across the 110 Freeway from the USC campus –- for $150,000. 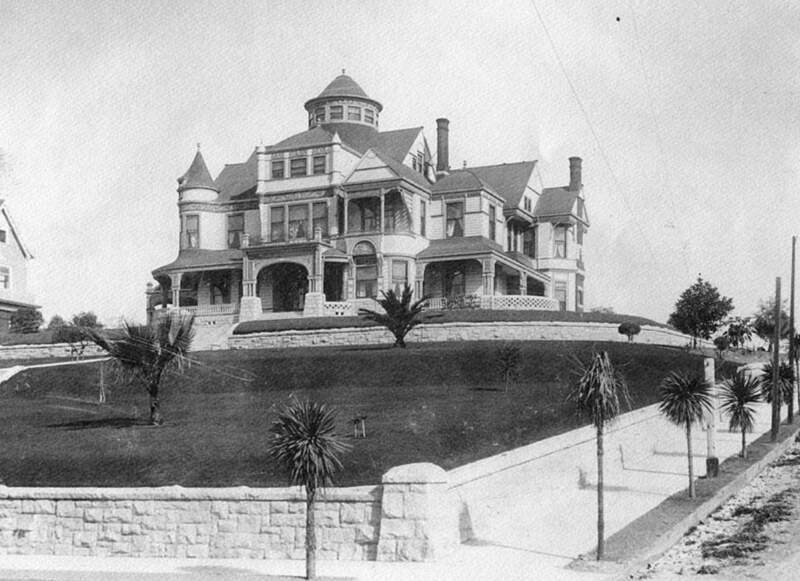 In 1890, Shatto started construction on a large, opulent Queen Anne-style mansion in Los Angeles, at the corner of South Lucas Avenue and Orange Street (now Wilshire Boulevard) -– the current site of Good Samaritan Hospital. The home included a four-story tower from which Shatto could see Catalina Island. 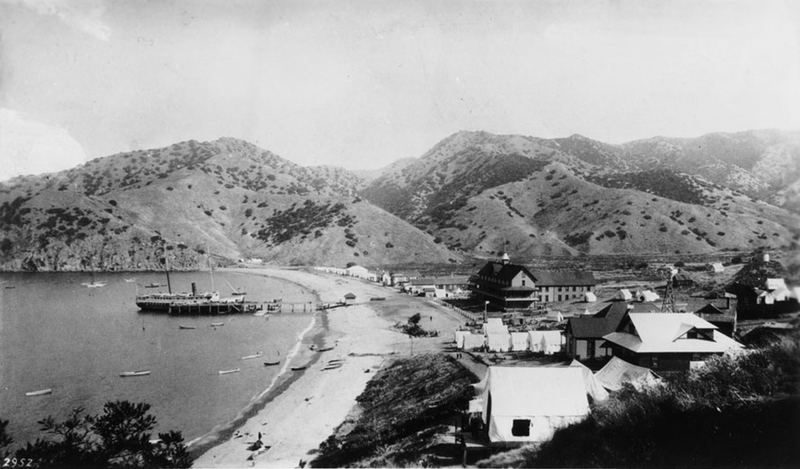 The new resort city of Avalon was popular and successful, with strong business at the Hotel Metropole and lot owners gradually building permanent wooden cottages to replace their canvas tents, but Shatto was facing increasing financial problems. 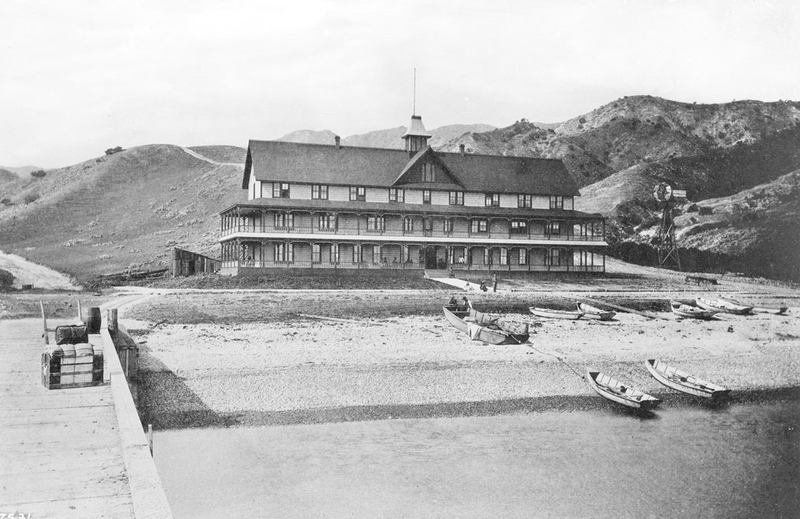 Shatto sold mineral rights on Catalina to a British syndicate for $400,000, with a down payment of $40,000, and he expected that revenue would help to finance the development of Avalon. But when the British group discovered that the island would be unsuitable for their mining operations, they cancelled the deal. With the loss of that revenue, plus the cost of building his new home, Shatto was unable to make the payments on the purchase of the island. In 1891, his Hotel Metropole closed, he defaulted on the loan, and ownership of the island went back to the James Lick estate. The following year, Catalina was purchased by William, Joseph and Hancock Banning, the sons of California businessman Phineas Banning, and regular visitors to the island. The Bannings eventually fulfilled Shatto’s dream of turning the island into a popular tourist destination. They reopened the Hotel Metropole, and built other hotels and businesses in Avalon. The original Hotel Metropole was destroyed by fire in 1915, but a new Hotel Metropole was built at the same location. The Shatto mansion was completed in 1892, but Shatto's view from the fourth-floor tower was an island owned by someone else. Shatto continued working in the real estate and development business. In late May 1893, he went with four business partners to look at some mining property near Mojave, Calif., about 100 miles north of Los Angeles. While in Mojave, Shatto received word that his wife was ill, and he decided to return home immediately. Shatto had missed the last passenger train of the day heading to Los Angeles, but he was able to catch a ride in the caboose of a southbound freight train. 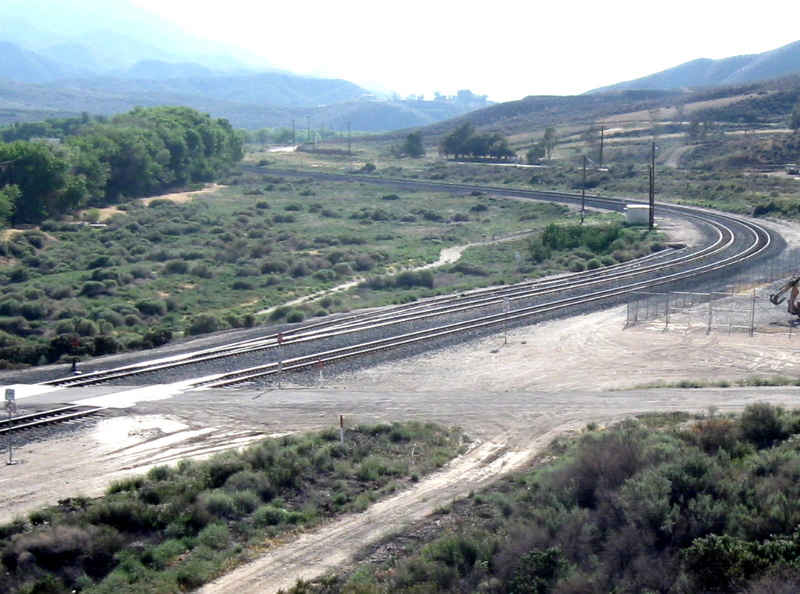 On the evening of May 30, the train pulled into Ravenna, about half way to Los Angeles, and about an hour behind schedule. The train was stopped at a water tank, about 900 feet beyond the Ravenna depot, just past a sharp curve in the tracks. 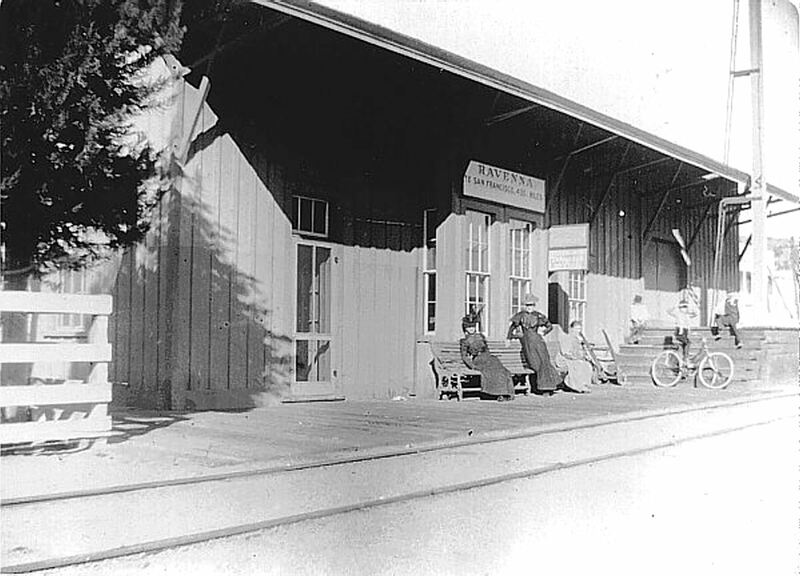 Shatto was asleep in the caboose, with his head near the rear of the car. Meanwhile, another freight train was approaching Ravenna from the north, on the same tracks. The conductor on Shatto’s train didn’t know there was another train behind him, and the engineer of the second train didn’t know that the first train was running behind schedule and was stopped in front of him. The engineer of the second train slowed to about 10 mph as he rounded the curve, and immediately applied the air brakes when he saw the red lights on the caboose of the train stopped in front of him, but it was too late to avoid the crash. Two other passengers in the caboose suffered minor injuries, but Shatto, with his head near the point of impact, was killed instantly. He was 42 years old. Shatto’s body was brought back to Los Angeles, with his funeral service held at his home. 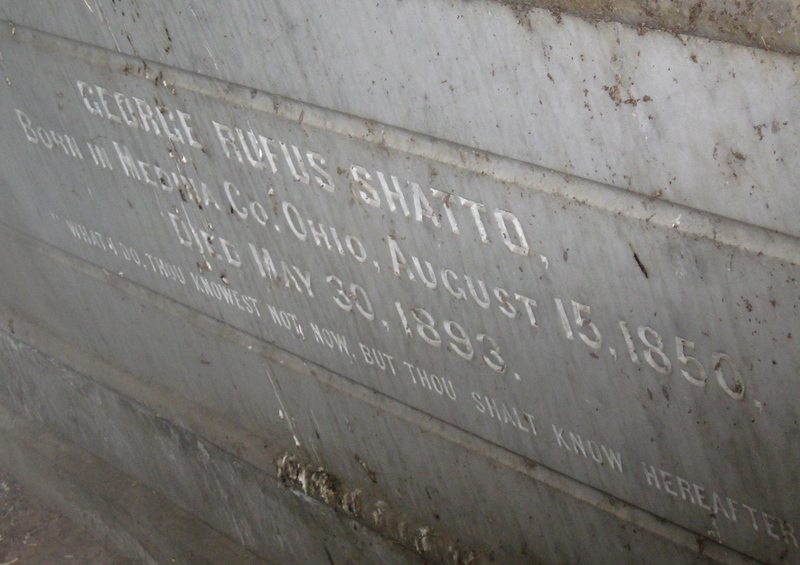 Shatto was buried inside a pyramid-shaped mausoleum at Angelus Rosedale Cemetery. 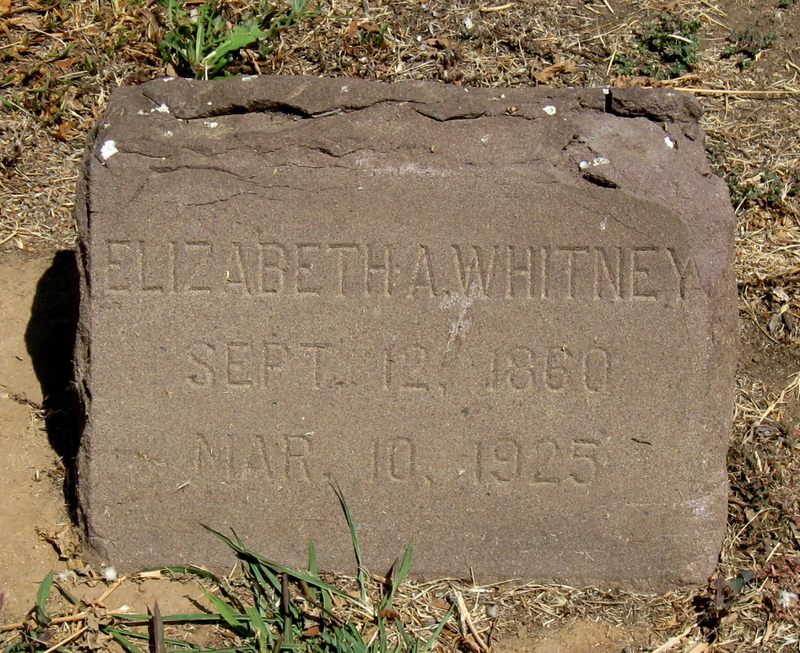 The body of his young son, who had been buried in Port Huron, Mich., was brought to California and buried with him. An inquest was conducted by Coroner Horace Cates, and Shatto's death was ruled accidental. Clara Shatto recovered from her illness, and from the shock of losing her husband. She continued with his real estate business, and became extremely successful and wealthy on her own. She subdivided and sold most of the property bounded by Third Street, Vermont Avenue, Wilshire Boulevard and Hoover Street -– an area that currently includes the Shatto Recreation Center. In 1899, she developed and donated 35-acre Sunset Park (now Lafayette Park) to the city. Clara Shatto became a major philanthropist in Los Angeles. In April 1927, she donated property valued at $400,000 for the site of the new First Congregational Church, which today includes the Shatto Chapel, a popular wedding venue. She also endowed the Walter O. and Clara R. Shatto Scholarship, in honor of her son, at Pomona College, where one of her nephews was a professor of astronomy. 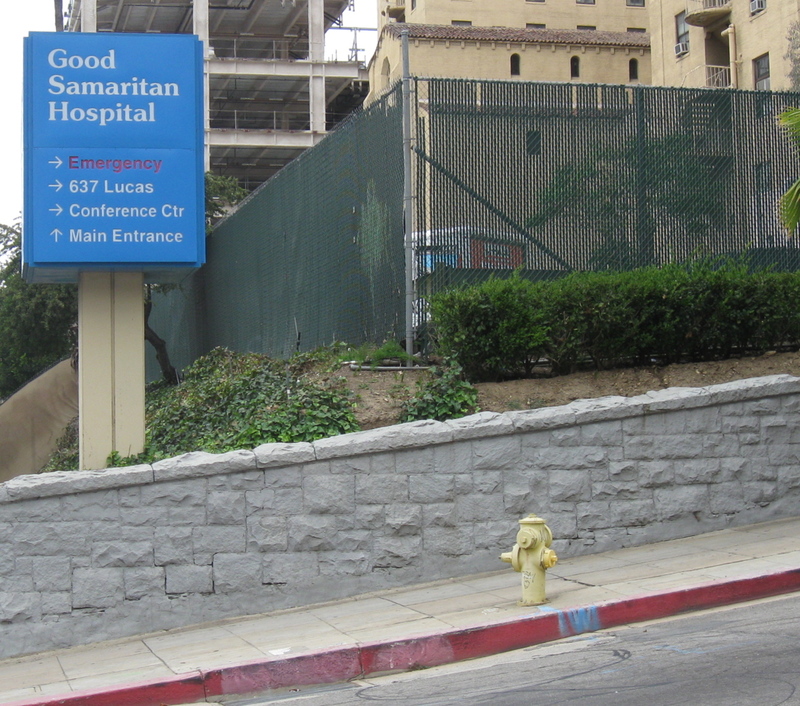 When Good Samaritan Hospital was built near the Shatto’s home, Clara Shatto moved to a home on North Roxbury Drive in Beverly Hills, and the Shatto mansion was converted into a nurses' home. It was eventually torn down in the 1920s to accommodate expansion of the hospital. Today, the only visible remnant of the Shatto property is a low stone wall that surrounded the Shatto property, along the sidewalk at the corner of Wilshire Boulevard and South Lucas Avenue. 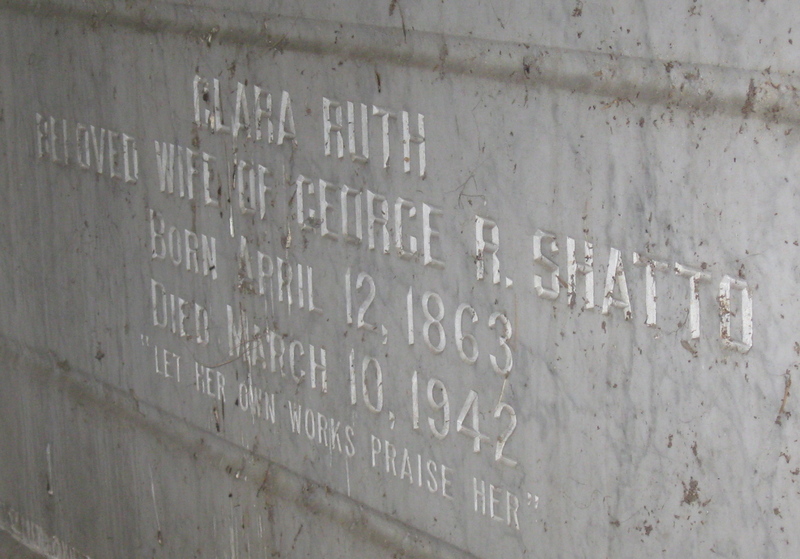 Clara Shatto died at her home in Beverly Hills on March 10, 1942, at the age of 88, and joined her husband and son at Angelus Rosedale Cemetery. She left the majority of her estate to charity. 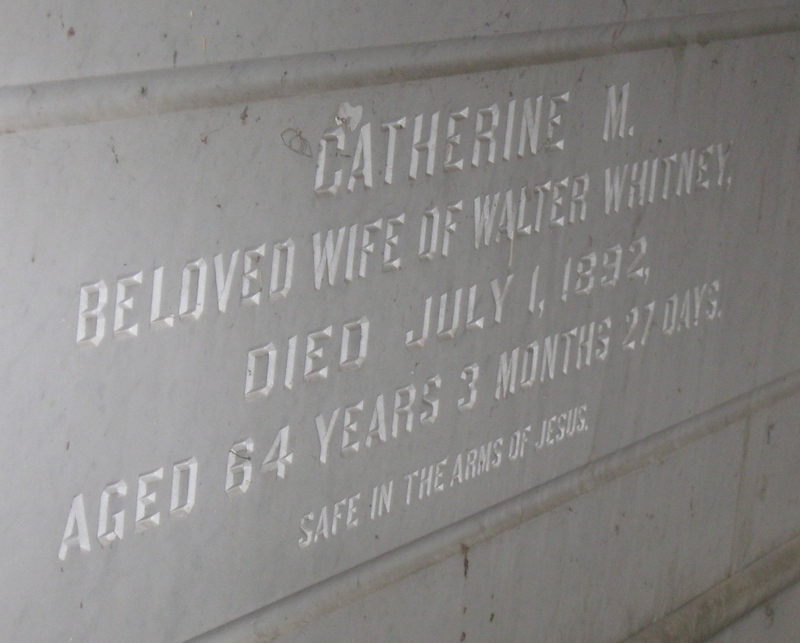 Her epitaph reads, "Let Her Own Works Praise Her." 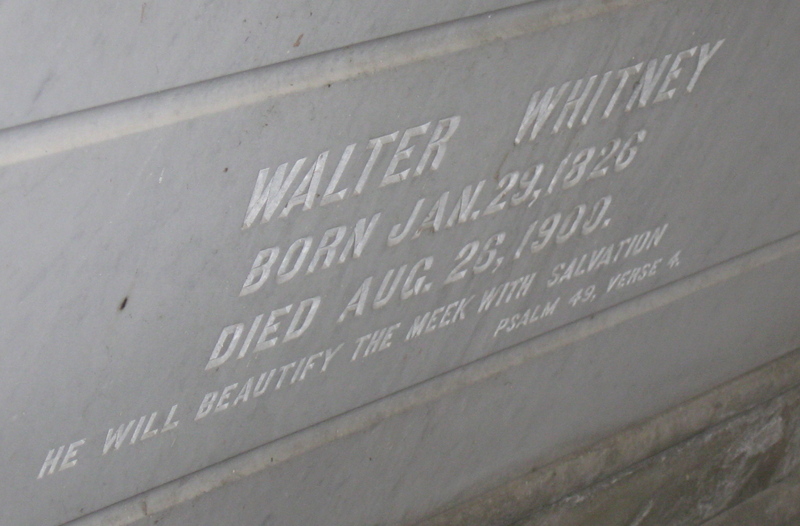 Also buried in the Shatto mausoleum are Clara's parents, Walter Whitney (1826-1900) and Catherine Moffett Wilson Whitney (1828-1892). 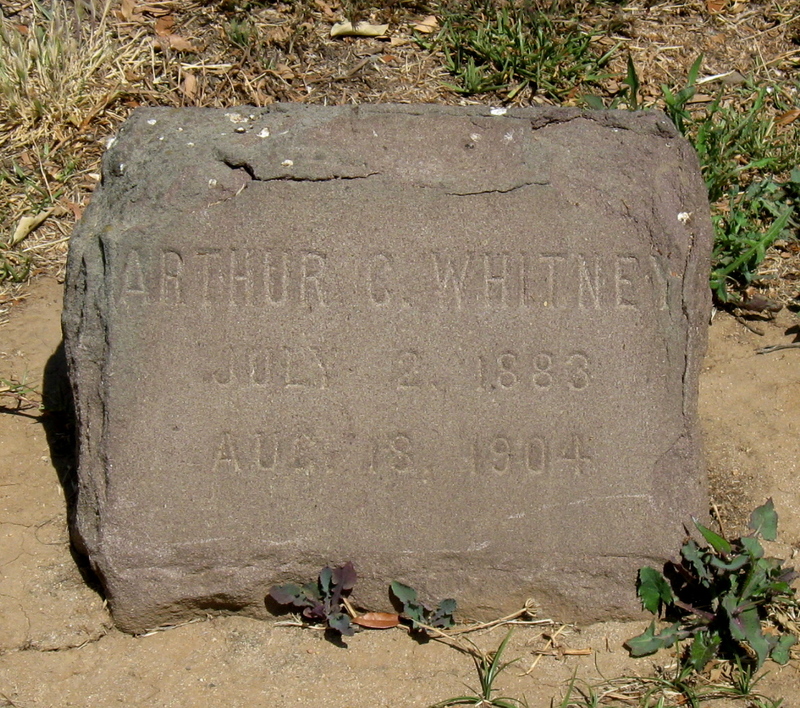 Clara's brother George Whitney (1855-1940); his wife, Elizabeth Ann Cone Whitney (1860-1925); and their son, Arthur Cone Whitney (1882-1904), who drowned at the age of 21, are buried in front of the mausoleum.